The Sleeper Has Been Awakened! 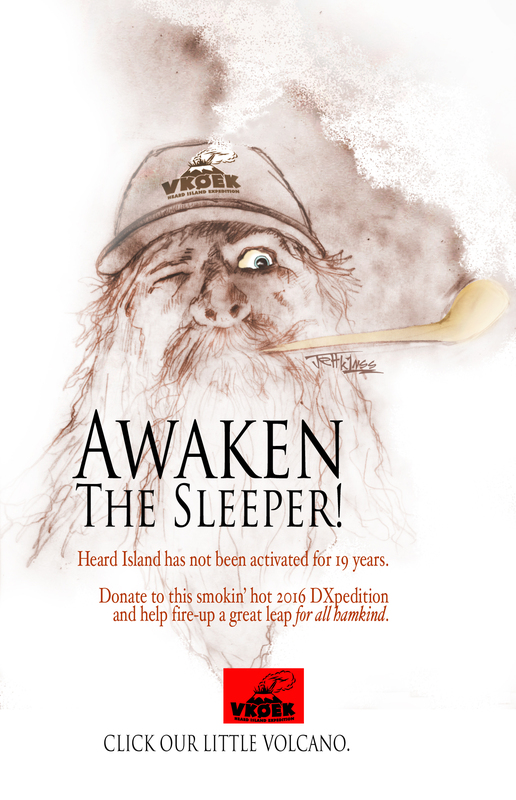 Our very good friend and Master of the Double Entendre, Jeff, K1NSS, created quite a few most excellent graphic images for our DXpedition. We again thank Jeff profusely! Heard Island has not been activated in 19 years, but in fact, “Big Ben” or Mawson Peak has erupted quite a few times since then – its common enough that part of the science mission will be to investigate why Heard Islands glaciers have been melting. Could old “Rip Van Mawson” be part of this scientific mystery? 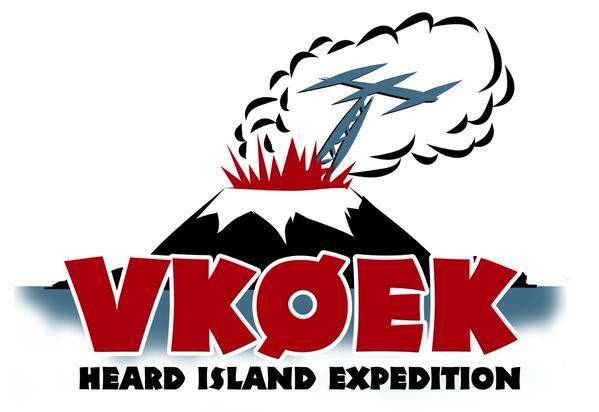 The first team members will be departing for Cape Town, South Africa, and they will start the journey and tale of two islands – one to solve the mystery of why VK0/H is not in your logbook and DXCC Credit Slip, and also, how the island has changed since VK0IR visited there in 1997 – when the sunspot number was ZERO. ← The VK0EK Team Leaves for Cape Town in One Month!